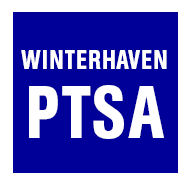 The Winterhaven Community Service Committee is running a Clothing Drive to provide clothes to the Portland Council PTA Clothing Center prior to our volunteer date on April 24. Bored over spring break? Why not clean out your kid's closets and bring those gently used clothes to school when you drop off / pick up your child (or send them in with your child). Plastic bins will be located in the front foyer. Clothes are all donated to the PTA Clothing Center, whose mission is to furnish age-appropriate clothing that fits children requesting these services. By caring for the basic needs of our youth and allowing them to dress as their peers, we encourage positive self-esteem and regular class attendance. By the time we get to the Clothing Closet at the end of April, however, they might need summer-ready clothing as well. Thank you for all that you do to help our larger community.